Since my exams are over, I going to be very much active on the blogging scene. I have had this post pending for a while now. Just found the time to share it with you.I was at Phoneix Market City, Velacherry a few ago along with a friend. After a bit of shopping we decided to grab a quick bite to eat and head home. We saw this small joint tucked behind an escalator. Since none of the restaurants in the food court interested us, we set our hearts on Mammo Deli. Mammo Deli services mainly wraps and a pastas apart from the deserts. After much thinking I chose the Crumb Fried Chicken Wrap. 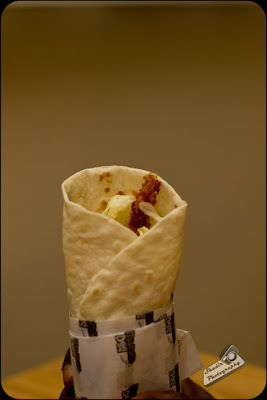 The friend who was with me, on seeing the limited options on the menu decided to skip eating, which was a mistake because he kept taking bites out of mine.The wrap was very much similar to a KFC Wrap but only a little bigger and two rows of chicken stuffed into it with little amount of veggies and sauce along with it. The taste was slightly on the bland side, but the chicken was really crispy. All in all the wrap was decent. Hoping to head here some other time and have the pasta. It is a small and neat joint which will seat around 20 people at ease. Service was pretty quick, it more of a self service joint. 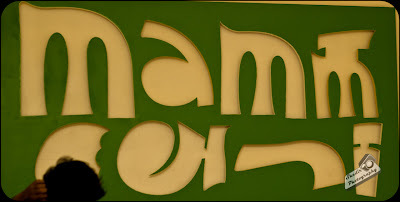 Mammo Deli is located on the ground floor of Phoenix Market City, Velacherry.